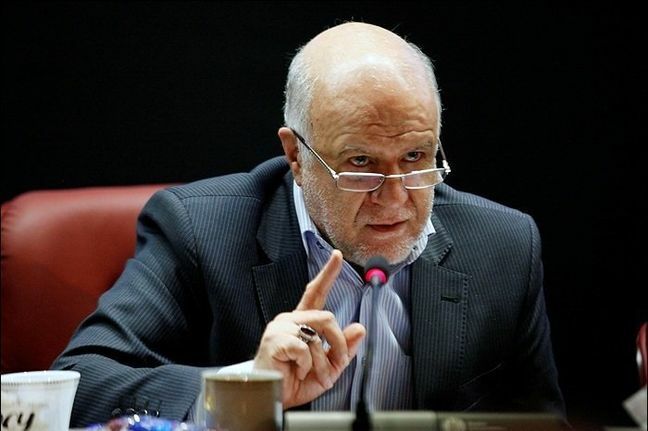 EghtesadOnline: Oil Minister Bijan Namdar Zanganeh said Sunday gasoline needs are now fully supplied by domestic refineries and imports ended in September. "Gasoline production has reached 95 million liters per day and is enough for domestic demand," Zanganeh was quoted as saying by Shana, announcing self-sufficiency in the strategic fuel. Gasoline output has risen by 83% compared to 2012 when the production was around 50 million liters, he said. In his view, according to Financial Tribune, “Gasoline is as important as staple food for the people and country will face energy crisis if the government fails to meet the demand, especially under sanctions." There are no concerns about producing regular and high-octane gasoline thanks to the Persian Gulf Star Refinery in Bandar Abbas in southern Hormozgan Province at which output has stabilized at 36 million liters per day. Moreover, gasoline production and inventories are at satisfactory levels, he said. Earlier reports carried by Shana put the amount of gasoline inventories at 200 million liters. Average gasoline consumption has been close to 92 million liters a day in the present fiscal that ends in March. The minister went on to say that the government has excluded funding for gasoline import in the national budget for the next fiscal (2019-20) and has put an end to dependence on the costly import of fuel. Gasoline imports reached 12 million liters per day in 2016 when Iranians burned almost 74 million liters of gasoline daily. Import quotas dwindled to 3 ml/d by mid 2018. PGSR is being built in four phases to produce 50 ml/d of high-octane gasoline and diesel as part of government efforts to wean Iran away from fuel imports. Zanganeh added that Iran's in-place oil reserves are estimated at 836 billion barrels—including crude, and condensates, of which 239 billion barrels are commercially viable so far. "Raising the recovery rate by merely 1% is equivalent to adding 8 billion barrels to production, which can generate $400 billion at $50." Oil experts, including Seyyed Mehdi Hosseini, the former head of a committee responsible for preparing the new Iran Petroleum Contract, believe that Iran will miss substantial revenues from oil and gas fields unless it raises the recovery rate from its underground hydrocarbon reservoirs. Zanganeh is of the opinion that the average rate of recovery from oilfields now is 24% and should reach 60%. As per the deals, Shahid Beheshti University, Ferdowsi University of Mashhad, Kharazmi University of Tehran, Shahroud University of Technology and Shahid Chamran University of Ahvaz in Khuzestan Province will undertake R&D on oil and gas blocks. The five contracts are worth $2.5 million.